Apologies, readers, for the slowdown in posts. The holiday season has set me back a bit, but in the words of "Christmas Blues" writer Sammy Cahn "I've done my window shopping / there's not a store I've missed." With that completed, more posts will be forthcoming. In the meantime, if you're looking for some Christmas groove to get you through the season and Vince Guaraldi's Charlie Brown Christmas, while always great, feels just a bit too familiar, then look no further than Jimmy Smith's Christmas Cookin'. 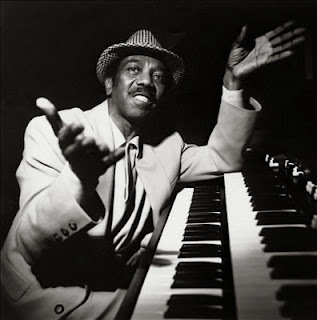 Jimmy Smith was one of the all time great organ players, recording a host of albums for Blue Note in the 50s and 60s and he kept on performing his whole life. He was asked by Quincy Jones to play for Michael Jackson when they set down Bad. Who might need a little more B-3 organ playing while celebrating Christmas? Everybody. Don't miss "God Rest Ye Merry Gentlemen" (both versions), a swinging rendition of "We Three Kings (Of Orient Are), and "Jingle Bells." Merry Christmas to all from The Union Marches. The main questions at hand are how well [Obamacare] will muddle through. The dreaded “death spiral,” in which insurance markets are overloaded with sick, expensive customers, is highly unlikely to materialize, for several reasons: Both insurers and the administration have extensive plans to reach out to younger customers; the enrollment period lasts through the end of March, and people tend to enroll at the last minute; the law has a crucial financial backstop to protect insurers in case they get stuck with disproportionately sick customers to begin with. Democrats will not repeal Obamacare. Even in their most panicked moments, only a handful of Democrats in the House voted for the Upton bill, which would have kept unregulated individual market plans that skim off healthy customers operating in perpetuity. The only way to repeal or cripple the law before 2017 is to muster a veto-proof majority in both chambers of Congress, a conservative fantasy that would require the support of huge numbers of liberals in Congress. So what are we fighting about? How smoothly the law operates, and how many customers it manages to enroll by the end of Obama’s term, are open questions. Likewise up for debate is whether Obama’s approval ratings will recover. But these are not fundamentally questions about the life or death of Obamacare. They’re about how much political pain Democrats in Congress must endure. We’re not fighting over health-care policy. We’re fighting about the midterm elections. In a post about Obamacare two weeks ago, I concluded on a note of optimism that the website was improving and that, whatever happened in the Congressional elections in 2014, Obama had until 2017 to implement fixes to the ACA and make it a permanent fixture of the federal edifice. On Sunday, as they promised, the administration revealed the progress made on healthcare.gov fixes and the news was positive. So there remain reason for concern. But here's what's indisputable: HealthCare.gov is improving, and fast. Or, to put it differently, HealthCare.gov will be fixed. In fact, for most people, it is probably fixed now, or will be fixed quite soon. The repair job is likely proceeding quickly enough to protect Obamacare from the most severe threat to its launch: Democrat-backed legislation unwinding the individual mandate or other crucial portions of the law. So long as people can actually purchase insurance through the federal exchanges, congressional Democrats are likely to support the basic architecture of the legislation they passed in 2010. Not out of the woods yet, not even close, still the Democratic establishment must be breathing a massive sigh of relief after the massive momentum swings in the last two months. Obama's summer doldrums gave way to the Republican shut down, an early Christmas gift from the Tea Party. That political advantage was squandered completely just a few days after Obamacare's disastrous launch, but now the pendulum, perhaps, has begun to swing back. Obamacare's enrollments may be sluggish and disappointing, but such scorekeeping ignores the more fundamental truth that with every new sign-up, the law becomes more indelible. This fact, reports Brien Beutler, poses a serious problem for a Republican Congress that has continually made hay passing laws to repeal Obamacare. Now that it’s December, Republicans are facing accelerating enrollment across the country and a thinning calendar. Healthcare.gov is much improved and still improving, and the House is set to adjourn on December 13 for the remainder of the year. When it returns, the hundreds of thousands of people who’ve already successfully enrolled will actually be insured, and their ranks will be swelling. Still, it may turn out that the ACA troubles were a brilliant Democratic plot to distract Republicans from their demographic terminal illness, and convince them that the Kill Obamacare playbook is all they need for 2014. Republicans have made absolutely zero progress in reaching out to any of the demographic groups – women, young people or Latinos – that the RNC’s autopsy agreed they had to, in order to stay alive as their older white base ages into that great Tea Party rally in the sky. In the months ahead the GOP will squeeze every drop of political juice they can out of every Obamacare failure and hardship they can unearth or spin into existence. But the goal won’t be repeal. It will be to channel the right’s Obamacare obsession into voter turnout in 2014 — at which point millions of people will be insured and the law will be unrepealable. I think the hopelessness of the repeal campaign — the absence of a viable legislative vehicle, the turning tide of Healthcare.gov, the initiation of insurance benefits — is becoming clear to elected Republicans, and its dying embers will be fully extinguished by early next year. If Beutler is right—a big if—it will leave the Republican Party in a peculiar place. So much of their identity has been constructed in the last four years as the Enemies of Obamacare, it is hard to imagine what platform they will build when that fight becomes moot. Ezra Klein wrote back in September that Republicans cannot even adopt deficit reduction, their old stand-by, as an urgent need to vote in Republicans. Deficit spending has cratered since 2008. It is an open question, then, how the Republican Party will remake itself. Being a Republican in 2014 might yet entail open resentment against Obama, Obamacare, and government overreach. It is far less certain what being a Republican in 2016 will mean.